Here is a wonderful opportunity to own a piece of Owens Valley History. This building was built in the early 1900's by the Joseph family and is over 5,000 sq. Ft. The building features a large dining room that can accommodate 60, a large banquet room that can accommodate 34 and opens to the back patio. Downstairs there is a full basement and a fabulous wine cellar. The building has been owned by the Rossi family for over 20yrs and they have operated Rossi's Steakhouse. Voted one of the top Steak houses in California by the California Cattleman's Association. All restaurant fixtures and equipment to be included in the sale. Seller will also include family recipes that come from Italy. 40% ownership of the adjoining lot is included in the sale. All antiques can remain on site, and will remain as Rossi Family property. 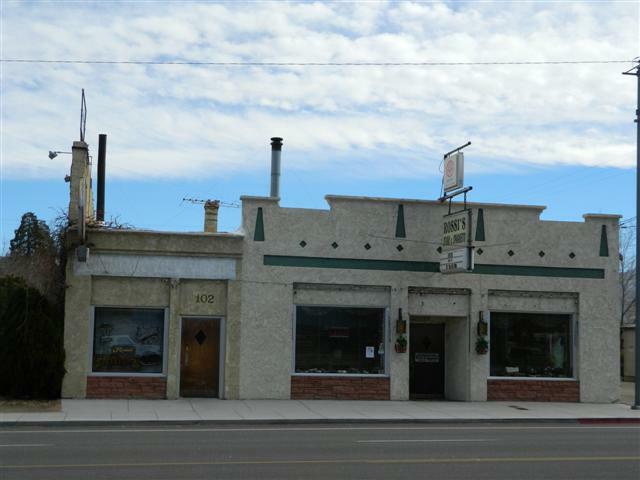 This property has a great location sitting on Main Street/ Highway 395. Besides street parking, this property offers additional off-street parking for customers.